Eucharist, Sundays @ 8.00am, Every Week. Records show that Anglican Church Services were held in Aireys Inlet from 1883 in private homes and some business premises. 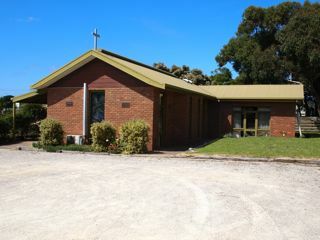 Even though land was acquired by the Diocese on Bambra Road in 1858, it was not until 1938 that a church was built and dedicated by Bishop J.J. Booth, Bishop of Geelong in 1939. Regular church services were conducted by the priest in charge of All Saints Lorne. While the Church was built as a holy place for Christian worship, it was possible to screen off the Sanctuary allowing the remainder of the building to function as a hall. Over the years, it was used by local organisations such as Red Cross and also it was used at a polling booth for both State and Federal Elections. In 1983, St Aidan’s was completely destroyed in the Ash Wednesday bushfires; however Church services were continued in one of the rooms of the newly constructed school. The site in Bambra Road was sold and land purchased in a more prominent position on the Great Ocean Road, opposite the General Store. After much hard work and careful planning it was rebuilt as it stands today. 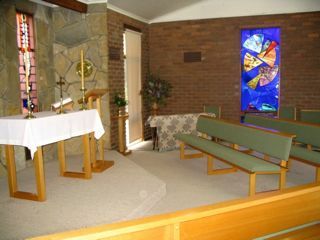 The new church contained the altar furnishings from St John’s Lethbridge, which had closed. Service books were donated by parents and students of Geelong Grammar School and parishioners of St Mark’s Sunshine. A link with the former Bambra Road Church has been preserved by the restoration of the wrought iron gate which was salvaged from the ruins. That gate is now mounted on the exterior wall of the Church facing the nearby memorial garden. 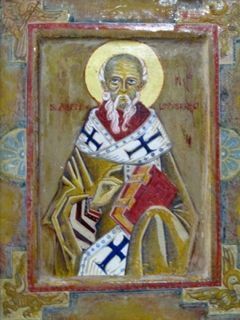 On 11 May 1986, the new St Aidan’s was consecrated by Archbishop David Penman, assisted by Bishop David Shand, Bishop of Geelong. Visitors almost always comment on the beauty and serenity of the church, the stained glass windows and the triptych. 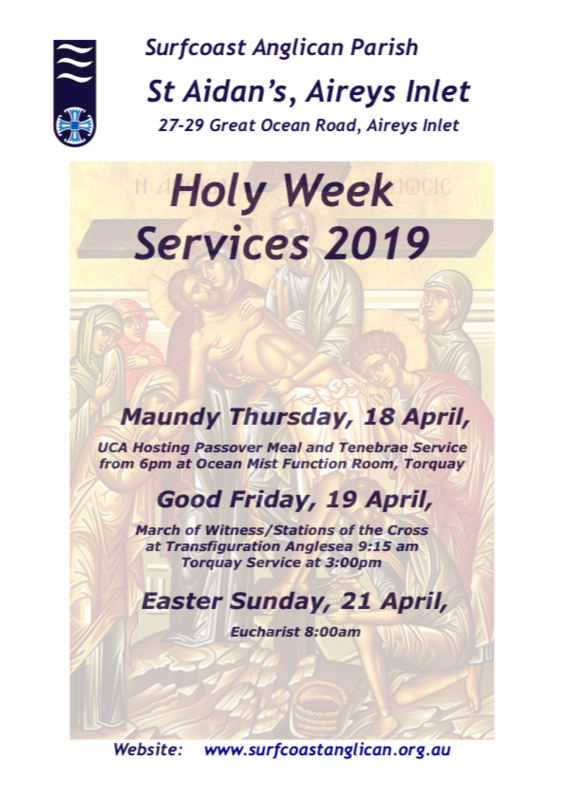 We are delighted that our church is shared with our brothers and sisters from the Uniting Church and the Roman Catholic Church who conduct their own services in our church. An art group meets weekly in the building and the results of their work are displayed in the church for an art show each year. On the first Friday of each month we invite members of the community to join us for morning tea. These mornings have been very successful in building our relationships with the wider community of Aireys Inlet. Twice each year we hold a market stall outside the supermarket in the town which raise significant sums of money for the church.